Going back decades, Aéropostale is a specialty retailer of casual apparel and accessories for young women and men with a focused selection of high-quality fashion at compelling prices. 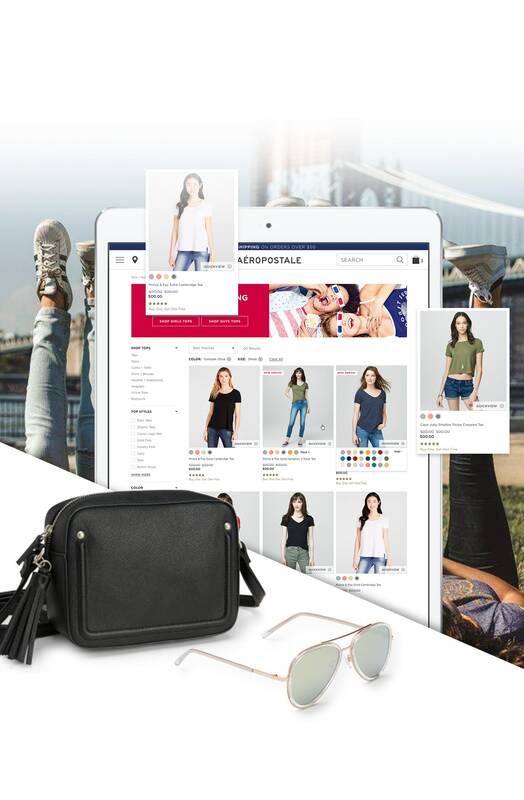 Aéropostale was ready to expand its brand and improve its online performance with a revitalized digital experience built on Salesforce Commerce Cloud. LYONSCG designed and developed a stunning new site on the Salesforce Commerce Cloud platform, capturing the retailer’s adventurous and stylish identity. The new digital experience is truly a holistic solution, featuring cutting-edge functionality, gorgeous design, SEO optimizations, and custom-built integrations with Radial OMS. Aéropostale’s new site was launched following Labor Day, and is now fully optimized for the 2017 holiday season.